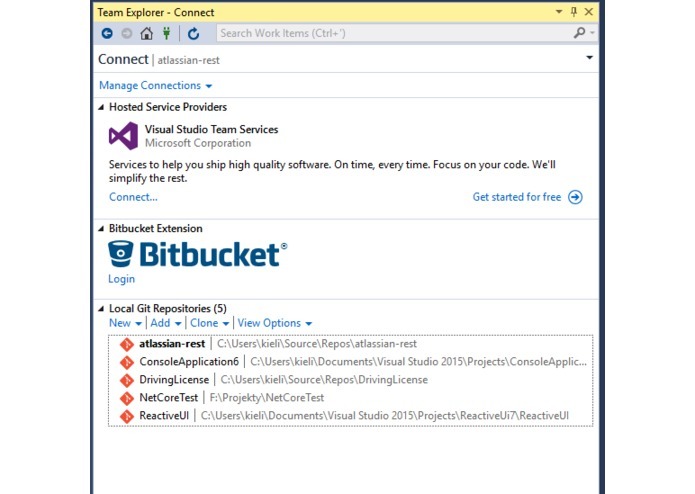 A Visual Studio integration with Bitbucket git repositories. 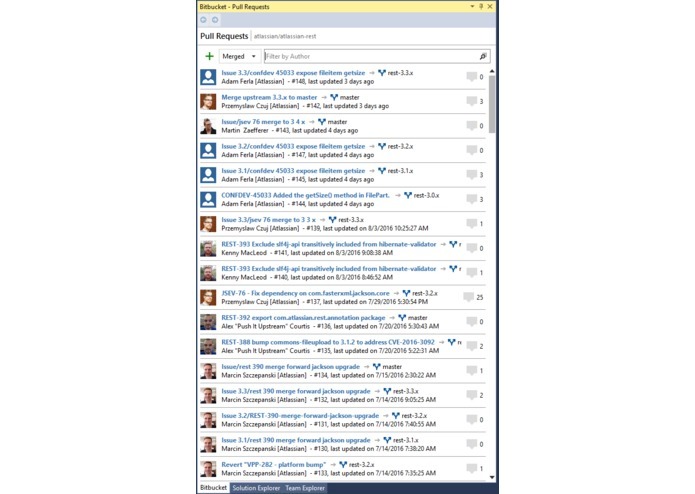 We came up with this idea as we were developing our previous project using Bitbucket. 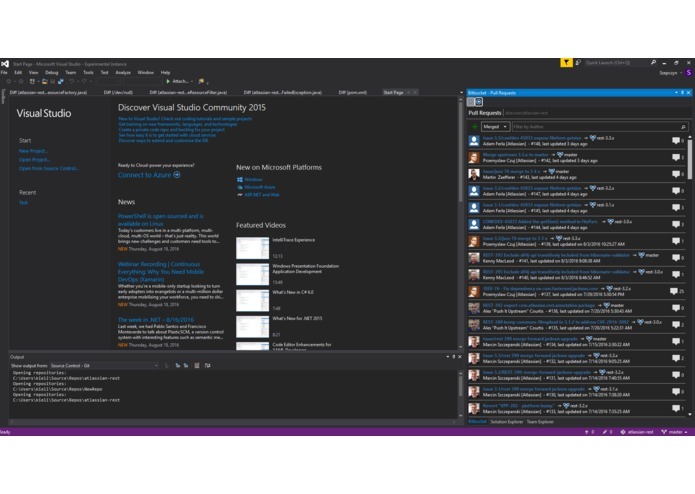 We noticed that there is no integration with commonly used IDE - Visual Studio. We decided to build this plugin to make ours and community life simpler and allow people to develop projects in one place to increase their productivity. Create - lets user to create a git repository on Bitbucket.org and synchronize it with your local version. 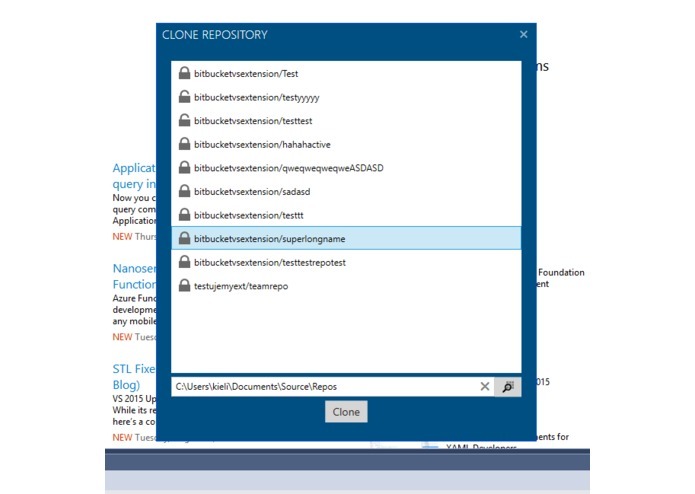 Clone - lists all existing Bitbucket repositories and allows user to clone it locally. 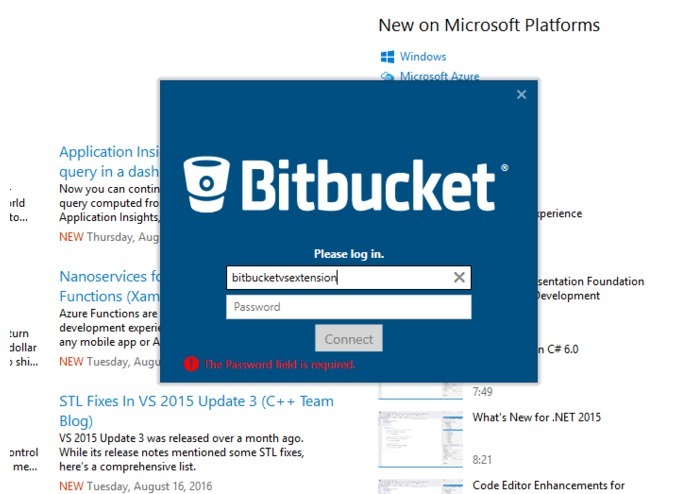 Publish - user can publish his local-only repository to Bitbucket. 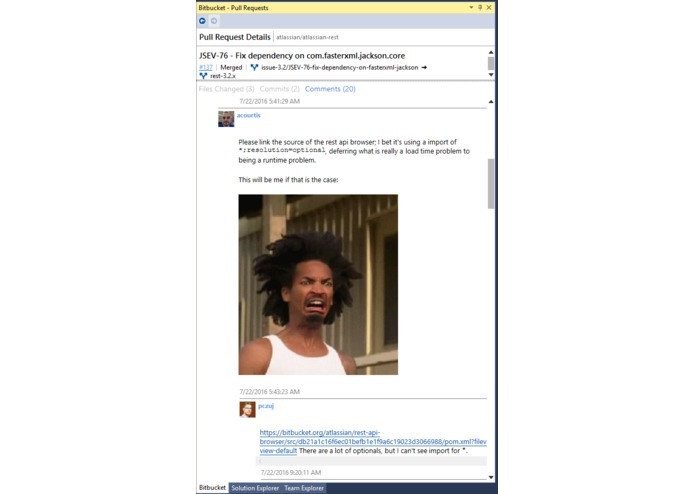 Approve/Disapprove pull requests (you need to be a reviewer). 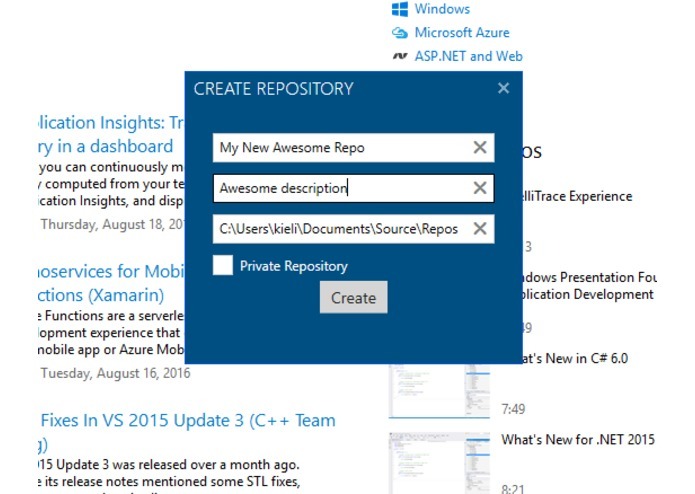 View files, commits and comments from pull request. 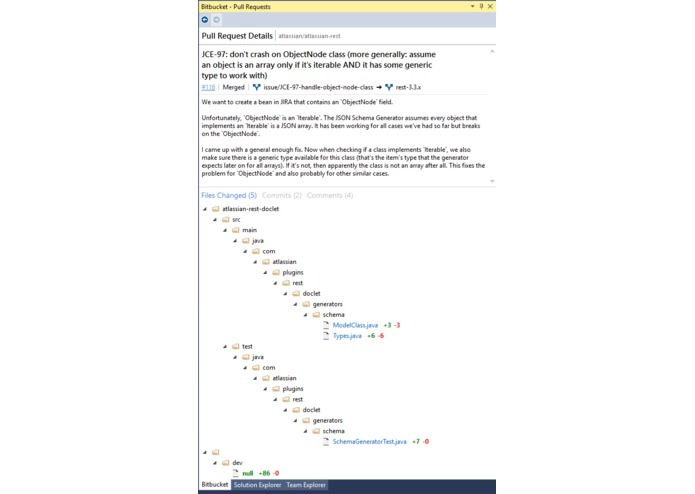 View Pull request diff with syntax language highlighting. 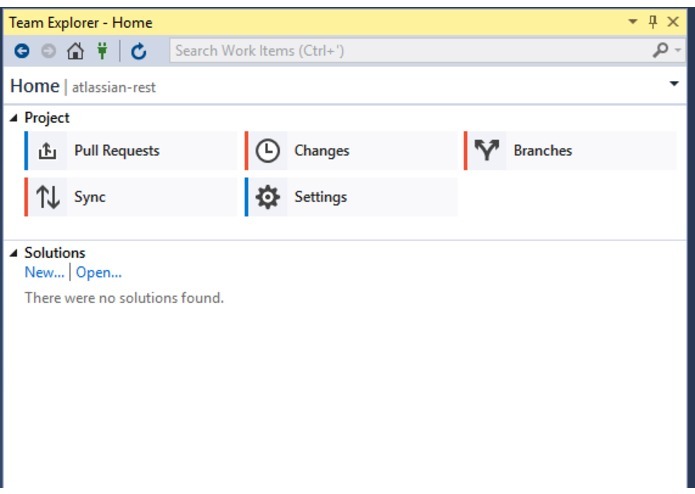 We built it using WPF along with Reactive Extensions. 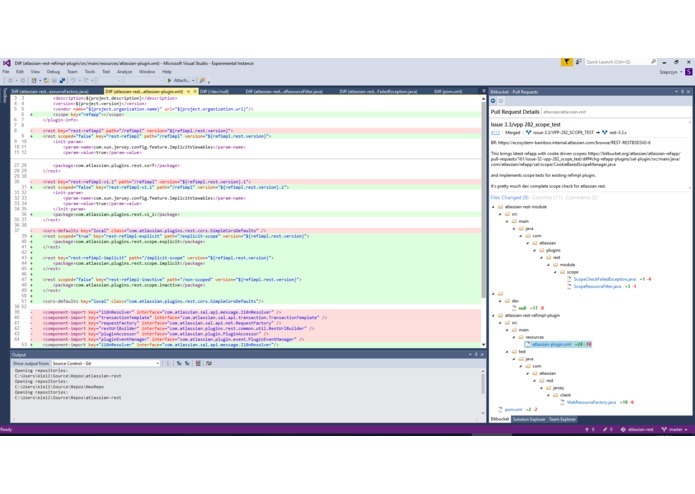 Team Explorer Extensions for Visual Studio is not fully documented. 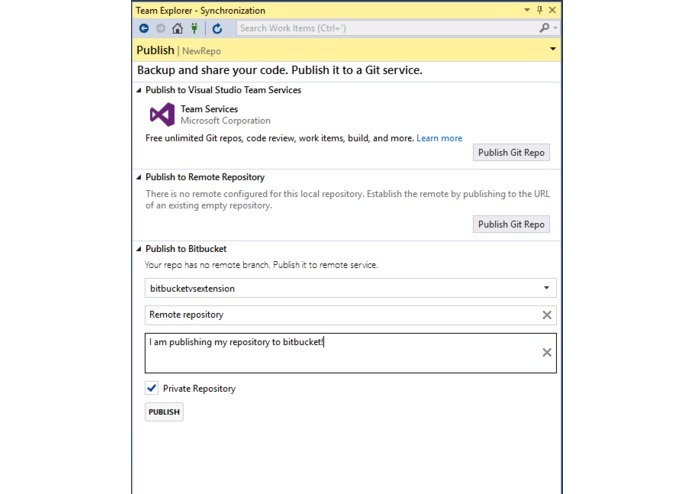 Fortunately for us there is a simillar extension created by Github which was a source of knowledge for us. Thank you guys. We have encountered some issues where even Google couldn't have helped us but we managed to solve them on our own. 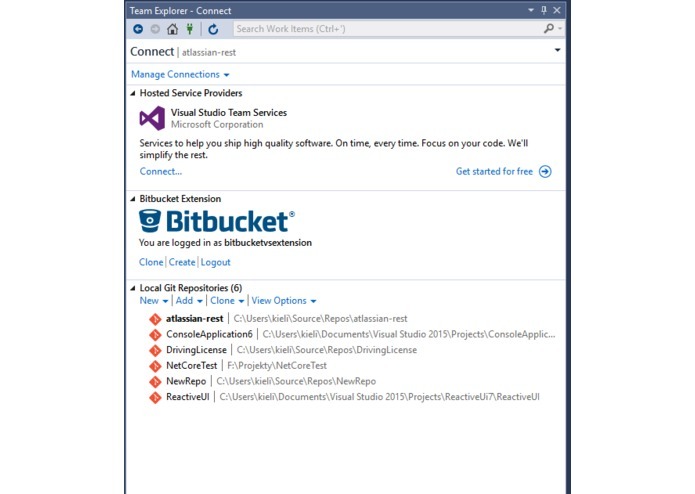 How does Bitbucket REST API work and how to develop Visual Studio Extensions. 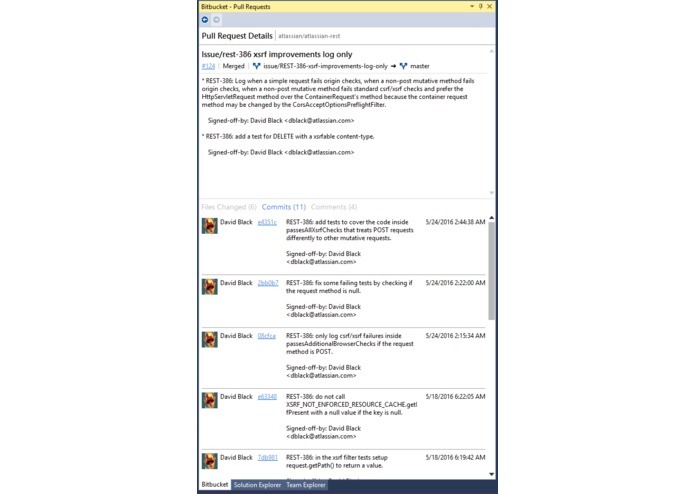 Support for other pull requests actions like "Merge, Reply"